First things first, it is important that you resist the urge to pick or pop, as that can make the problem much worse. Breaking the skin provides the perfect opportunity for bacteria to get into your pores, and often time’s leads to more breakouts or even permanent scarring. Second, it’s important to remember that concealing the problem with makeup will only provide a temporary solution. While we have all found ourselves in a situation that requires a last minute cover-up, truly healthy skin must be treated from the inside out to achieve real, lasting results (and it will also save you a pretty penny on products too)! Make sure your beauty regimen includes a systemic treatment to address the source of the problem, such as AcnEase®. 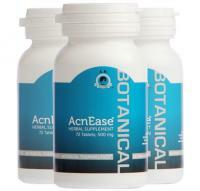 AcnEase® addresses acne where the cycle begins and normalizes oil production within the sebaceous glands, working to eliminate current and future outbreaks. For covering a lone pimple or a mild breakout, try these concealing tips to create a smooth illusion! As Visine helps to “get the red out” of eyes, it can also reduce the redness that comes with pimples as well. Visine works to constrict blood vessels, so a cotton swab soaked in the liquid and applied to the area for a few minutes can provide temporary relief. Resting an ice cube (wrapped in a washcloth) on a pimple can also work to decrease redness, as the cold will help reduce inflammation. A green-hued concealer lessens the red tone of the skin, and is easily covered by foundation or powder. Finding the right concealer will vary from person to person. If you have oily skin, reach for a thicker formula, or even one containing salicylic acid, to dry out the blemish (please note that normally we do not recommend products containing salicylic acid but do at times depending on the scenario.). For those with dry skin, be sure to moisturize before concealing to reduce any flakiness. Applying concealer should be built up, so dab a tiny amount with a thin, pointed brush, then blend with a CLEAN finger, set with powder and repeat the process if necessary. Now that the culprit has been concealed, you’ll want to blend it in as best you can, creating a smooth surface on the skin. Mineral powder has been known to work wonders on acne-prone skin because it contains non-irritating ingredients, is free of parabens, dyes, fragrances and mineral oil and rests lightly on the skin. Because you apply it with a powder brush, you also don’t have to worry about smudging your concealer. For other types of breakouts, you may need to tweak your routine to meet the needs of your skin. Blackheads usually come with enlarged pores; so if you’re trying to keep them out of sight, try priming the skin with a pore minimizing primer before applying concealer or foundation. The primer will also keep foundations or powders from fading. A dusting of mineral powder is your best bet for hiding whiteheads, as the fine grains will settle onto the skin around the elevated eruption. Whiteheads can be very hard to conceal, which is why treating acne from within is always the best bet against battling blemishes. This chronic form of severe acne can be the hardest to conceal, but it’s definitely not impossible! First, apply a redness reducing concealer (green for lighter skin tones, orange for darker complexions) to the face, jawline and/or neck using a makeup brush and then blend it with a clean finger. Follow this with a thick formula foundation or CC cream, applied with a beauty blender sponge. Top it off with a layer of powder to set. Many with acne-prone skin have at least one scar to prove it. To hide dark or red spots or fill in deep pits, concealer is the way to go. Spots only require a small dab, while pits may need a bit more to fill in to create a seamless finish. Always start with a small amount and add more as necessary to avoid a ‘cakey’ look. Regardless of the variety of options that are available to conceal pimples, the concealing process can be exhausting, and the underlying problem doesn’t go away. No matter how advanced makeup formulas become, nothing can compare to treating your skin well from the inside out - and AcnEase® does just that. 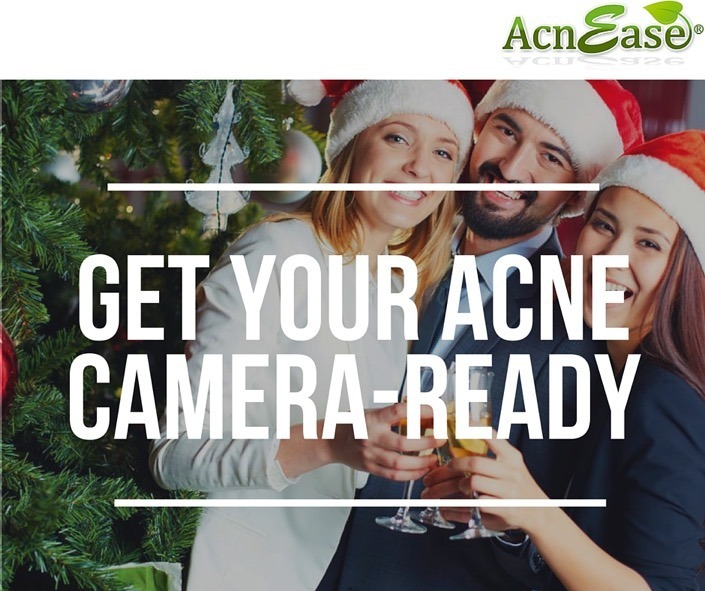 Targeting the problem at its source, AcnEase® is the only product available that treats existing breakouts, while preventing new pimples from forming and is 100% safe for use among people of all ages. Pairing pro-tips for concealing with a skincare solution like AcnEase® will leave you looking #nofilter flawless in any pic! We want to hear from you! What are your concealer tricks and tips? Tell us in the comments below!